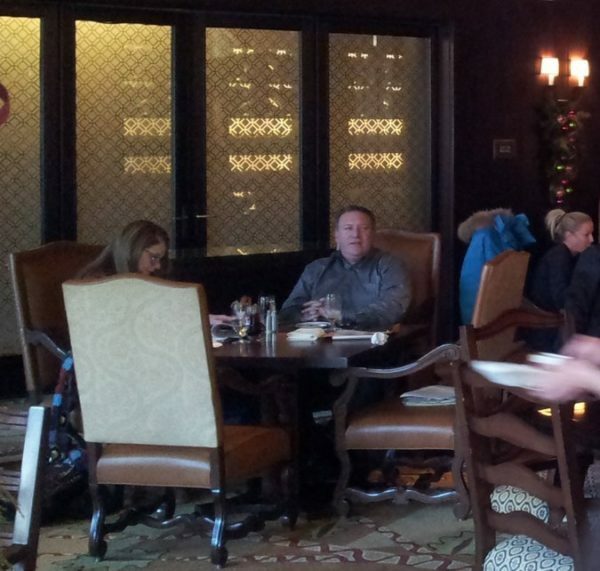 CIA Director Mike Pompeo at Flame restaurant in the Vail Four Seasons in 2014. Pompeo was a Kansas congressman at the time (David O. Williams photo). All journalists know that tenacious digging results in the biggest scoops, but sometimes great stories just fall into your lap. Take, for instance, The New York Times story this week on friction between White House outside and inhouse counsel over the best strategy for dealing with special counsel Robert Mueller’s ongoing probe into Russian involvement in the 2016 election. 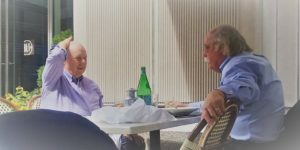 Lawyers Ty Cobb, right, and John Dowd at a Washington steakhouse recently (photo by New York Times’ reporter Kenneth Vogel). Times’ reporter Kenneth Vogel just happened to be wrapping up a lunch with a source at a steakhouse near the White House when he overheard outside counsel Ty Cobb talking strategy with another White House lawyer, John Dowd. Vogel surreptitiously snapped a cellphone photo of the pair discussing the tactics of inhouse counsel Don McGahn. The story provides a fascinating look into the not-so-behind-the-scenes machinations to defuse, derail, and President Donald Trump hopes, ultimately debunk the Russia investigation that’s gaining more and more traction every day. It also shows just how much blind luck often plays into good reporting. As a reporter based in Vail, Colorado for most of the last 25 years, I’ve always said a certain number of scoops can be lucked into by virtue of just living in a resort location most of the world visits at some point or another. There was the photographer who was riding up a chairlift at Vail and lucked into a picture of Princess Diana riding down the lift with lover Dodi Fayed. And I got my first byline in The Times when basketball star Kobe Bryant decided to have knee surgery at the Steadman Clinic in Vail but was later accused of sexual assault by a hotel worker during his stay at Cordillera in Edwards. Then there was the fall of Lance Armstrong during the USA Pro Challenge cycling race that just happened to be passing through Aspen and Vail. The scoops in Vail tend to be more celebrity- or sports-oriented, like when tennis star Monica Seles had surgery here after being stabbed in Germany, or the Kardashians, Taylor Swift or Tiger Woods jet into town. Then People Mag pays more attention than the NYT. But national political intrigue does find its way to the Vail Valley – probably more often than we know – and that was certainly the case in 2014 when five Republican congressmen held a fundraising ski junket at the Four Seasons in Vail. Disgraced Illinois Congressman Aaron Schock was one of the fab five currying favor with energy execs and lobbyists. So was then-Kansas Rep. Mike Pompeo, a Tea Party conservative who rode the 2010 anti-Obamacare wave into office. I gathered quotes for a Times’ front-page story on a lobbying loophole that allows candidates for both major parties to cozy up to special interests at junkets like the one in Vail, skiing, dining and spending unlimited time with donors. 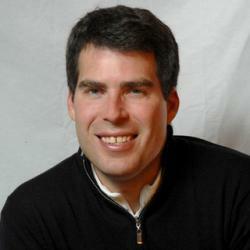 While I got a tagline at the end of that story, Times’ reporter Eric Lipton did the heavy lifting, and he went on to win a Pulitzer Prize for a series of stories on lobbying efforts to influence state attorneys general. However, while lending a hand on the congressional lobbying story, I also lucked into a photo of Pompeo dining at the Four Seasons’ restaurant Flame. This week’s candid camera White House lawyer story reminded me of that cellphone shot I took in 2014. At the time, if you’d told me I was surreptitiously photographing the future CIA director under President Donald Trump, I would have laughed in your face. Now, Pompeo is a key figure in the ongoing Russia scandal – a staunch ally of Trump’s whom the Washington Post editorial board feels should recuse himself due to his access and friendliness with the administration. Who knows how the whole Russia scandal will ultimately play out, but what’s certain is that this ski season in some hotel room in Vail or Aspen, or even as you read these words, some backroom bargain with national or international political ramifications will no doubt be struck.